You might have a cracking CV, great experience through work or industry placements, but you're just not finding what sounds like the right role for you in finding a graduate job. There might be many reasons for not being able to find a graduate job, some that might be out of your control, but are you sure you are looking in the right place? Knowing how to find a graduate job is half the battle and in the digital age, there are more places to look than there used to be. From social media to old school ways and opportunities abroad, the jobs market is more open than it has ever been, but it can be argued that all this choice makes navigating the job market a little harder. If you are struggling to find a graduate job, then read our ultimate guide on where to find one. In our digital age, and with most of today’s graduates being digital natives, the internet is the first place most people will look for a job and there is no shortage of online job boards. At STEM Graduates, our jobs board is the only specialist STEM graduate’s jobs board in the UK. With so many jobs boards out there, finding roles that are relevant to you can feel like seeking a needle in a haystack. First, do your research and find out all the variants of the job titles you are looking for and list your skills. Sometimes you can find the perfect position for you by searching for skills rather than job titles. One way to stay on top of your job search is to sign up to a jobs board mailing list. Generally, you should be able to tailor your preferences, so you only see jobs that are relevant to you. There are thousands of recruiters out there all looking to fill graduate jobs. There are large general graduate recruiters and there are specialist graduate recruiters like us. Graduate recruitment agencies are sometimes the only way some companies source new employees, and they may have roles that you won't find elsewhere, it is in the recruiter’s interest to ensure they are the only ones trying to find candidates for a job. Depending on the recruiter you can either contact them online, via email or a contact form, or you can call them. Sometimes, picking up the phone can provide more immediate results. Before you contact a recruiter ensure that they recruit in the field you want to work in. As always, do your research! Use industry publications to find a graduate job. This may seem a little old school, but your industry's main publications or their websites are still a great source of job opportunities. So, research which publications are relevant to what you want to do and get reading. If you don’t want to or can’t buy these publications, its highly likely that they will be available in your university library. The UK does not have a monopoly on STEM jobs, nor is it the only country with a STEM shortage. Most of the developed nations including the US, Canada, Australia, New Zealand and even Germany all have some form of STEM skills shortage. If you yearn to spend some time abroad, you don't have to backpack around the world, nor do you have to put your career on hold. If you are STEM graduate chances are your skills are in demand. Also, English is the currently the lingua franca of STEM and industry, so you don't even necessarily have to be proficient in a language to secure yourself a job. Having in-demand skills means, it may be easier to navigate, what can sometimes be complicated visa rules, as your employers may sort all that for you. Canada, Australia and New Zealand currently (all info correct as of March 2019) have working holiday visas for those under 30 or under 35 for New Zealand (For UK citizens). As long as you don't have dependents, a criminal record and you qualify for the intake, you can move to one of these countries and take up pretty much any job (there are some exceptions) and live in any part of the country that you wish. For other countries such as the US, it is likely that your visa will only be secured if you are offered a job. Visa rules are complicated and are subject to change, so make sure you work closely with your employer or an immigration lawyer to ensure you have the right paperwork before you move. 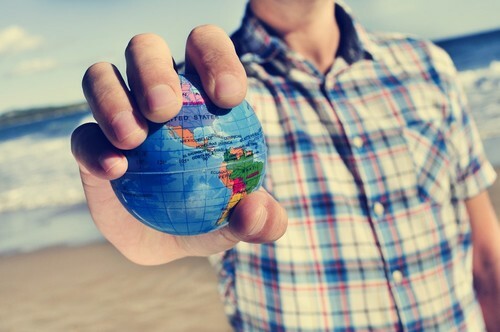 Where to find a graduate job abroad? If you’re thinking ‘great, I have a STEM degree, my skills are in demand, but I have no idea where to find a graduate job abroad.’ You have come to the right place. If you are looking for graduate jobs aboard the best place to start are online jobs boards, career fairs, graduate programmes for multi-national companies and LinkedIn. Graduate career fairs can be great places to find graduate jobs. Graduate career fairs allow you to meet employers looking for graduates for both entry-level jobs and graduate schemes. Graduate fairs can be run by your university, private companies, recruiters, industry bodies or the public sector. Before signing up, check if they will have employers from the industry you want to work in. At STEM, we host female-focused STEM Women events across the country to help connect employers with the female STEM community. To make the most of your time at a graduate’s career fair make sure you plan ahead, think about which employers you want to talk too, and which talks you want to attend. The vast majority major public sector, non-profit and private organisations have graduate schemes, some of which are highly competitive. There is not one single place to find graduate schemes, so you have to go looking for them. Typically, they are advertised on general and specialist job boards, the organisation’s website and recruiter’s websites. 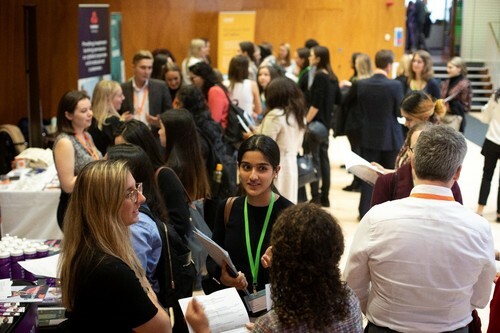 Networking is an important skill for graduate job hunting and networking isn't just about attending networking events – though they can be invaluable. 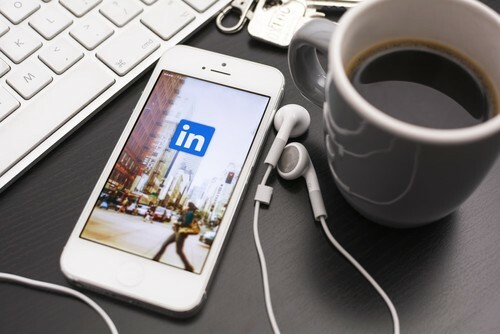 It is also about using the contacts you and those around you have, including those that you connect with on LinkedIn. Make use of any networking or industry events held by your university or industry body (if applicable). Once you start to build up a network ask those who are already doing what you want to do for advice. This is a great way to get information without placing pressure on those you have connected with. Remember, don’t be pushy. If you are a STEM graduate or student and are looking for a graduate job or internship, then take a look at our job listings. For more career advice read our blog on how to get a graduate job.